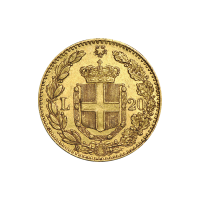 Buy this vintage gold coin, produced back when gold circulated as money. عملات ذهبية خاصة بالسنة العشوائية 20 ليرا ايطالية Buy this vintage gold coin, produced back when gold circulated as money. These coins were produced many years ago and are hard to find today, grab this one while you can!